As I am preparing to begin my search for participants for my doctoral thesis research, I received a suggestion last week to consider a pilot. Not sure why I had not thought about this before, but that is what having active supervisors and a supportive community of doctoral colleagues is for–help point out things when we miss them ourselves. Seemed like a good idea, though I wanted to get some feedback as to the processes. Let me be clear, it was suggested (and I agreed) to pilot my semi-structured interview questions, not my research purpose and research questions (I have research evidence from the past 2 years and some literature that suggests this is a real issue that we do not know much about). If I pilot my questions, it can help me determine if they are the right questions (they will give me answers to my research questions and link to my problem and purpose). Nothing like having the opportunity to ask the interview questions and then discuss / debrief them with some people. I think I wrote interview questions that will get me what I want to know, though piloting the interview questions may just be the best way to find out. The result is there is general consensus that piloting my semi-structured interview questions is useful, though that is not the only thing I learned in this process. I learned that there is power in community, as my two initial posts, along with my individual responses to what others suggested, resulted in 52 responses to me from a number of my doctoral colleagues. They shared their stories, what worked, what did not, what they learned, who to read for more information, and so on. Overall, I am amazed at how generous this network of fellow doctoral colleagues, most of whom I have never met face-to-face though with whom I have established various levels of relationship with, is when there is a need and sharing with one another is just the support that is needed. 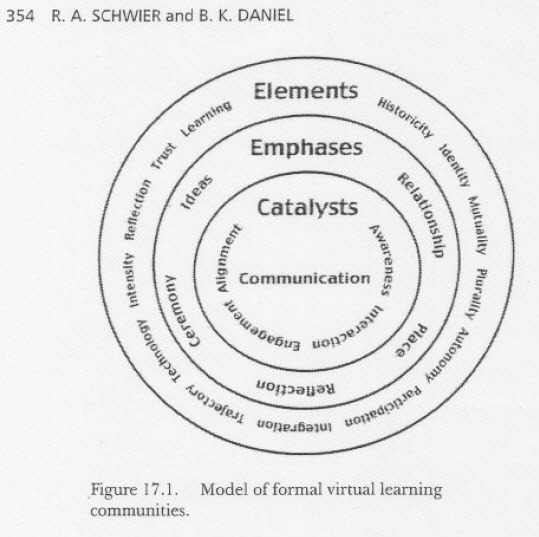 Can this indeed be a component of a community of practice? Yes, my supervisors are wonderful, though my fellow colleagues cannot be underestimated! Happy to see that the call for papers for the 8th International Networked Learning Conference 2012 was just announced. I attended this conference in 2010 in Denmark, and hope to be able to attend this again from 2-4 April 2012 in Maastricht, the Netherlands. If this will be anything like the last conference, it will be a tremendous experience. While I do not usually promote conferences before I have anything accepted for them, I am doing so here because this is such a wonderful conference that I think may benefit more than that specific group that tends to already know about it. I think it needs a wider audience (i.e., from the US, Canada, and Australia), and hope this little post can help that along. Did I mention that two scholars whose work has greatly influenced my own research will be speaking — Etienne Wenger and Tara Fenwick! I am very happy to share that I am one of the 4 mentors in the Fall 2010 Foundations of Communities of Practice workshop that is sponsored by CPsquare. In this capacity, I will work with workshop leaders Etienne Wenger, John Smith, and Bronwyn Stuckey and fellow mentors Joost Robben, Monique Léger, and Paul Lowe. I have worked with all of these colleagues before, though never in the capacity of a mentor. While I will have a lot to share and explore in my own work, I will keep this brief as I have not yet posted my own introduction to the workshop. Ahh, the busy life of one who is interested in so many things related to teaching and learning from a distance! I am happy to share that our vacation from classes is over, and now we are back to the books and studies! Now that I have supposedly had some time off (though work and teaching does not really cease), it is time to again focus on my studies and my research. While I generally think these elements are useful, I wish I could learn a little more about the research that supports there items; this was not included in the chapter, and as a developing researcher, I can’t help but wonder how the authors came up with these, and not others. What do others think; do these elements fit with your practice and experience? Please contact the server administrator at webmaster@silenceandvoice.com to inform them of the time this error occurred, and the actions you performed just before this error.